Can You Trust a Diary? I can share my life’s ups and downs with everyone but you. Yeah, I know you look pretty harmless and can be a collection of all my beautiful memories, but I also know that you are not as harmless as you look. I have heard that many of your friends open up easily to those who they are not meant to open up to. I can trust people but not you. You can betray me easily. You always get into wrong hands. Always…. It’s not like I never wanted to trust you or others like you. I have tried to, but failed. I am always inconsistent in talking to you. I tried many times but I cannot make a friend out of you. I never have fun in having this one way conversation with you. Don’t you understand? I want you to yell at me when I am wrong and cheer me on when I am right. You do none of these. You just lie down, lifeless. Hearing but not listening. 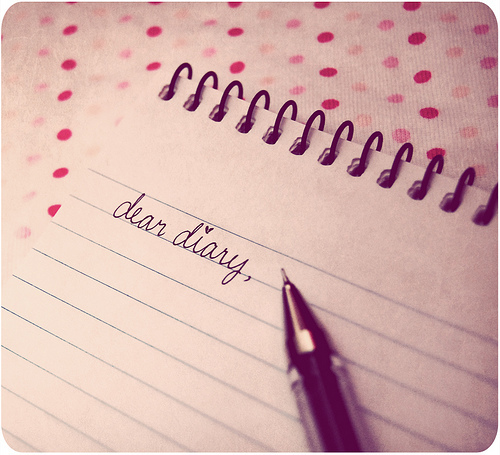 Whenever any one gifts me a diary, I love it but I don’t know what to do with it. First I started making slam books out of diaries, but then I stopped doing that, because I am not good at keeping slam and autograph books. Well, now I am using you for useful matters. I am writing all my cooking recipes on you. This way I can get help from you whenever I want and you won’t ever be able to betray me. I wouldn’t have to worry about you. And Yeah, you look cuter this way. P.S: This post is not written in anger :p. It shouldn’t be offending to anyone, as it’s my personal opinion. Also, plz take this poll and tell me if you trust your diary or not. Sitting in the class, where we were talking about religions, a memory awakened in my mind. In order to make me understand that why do we need religion, my mother used to tell me, when I was a child, that whenever we buy a machine we are given a manual with it which explains how the machine works and what it can do, In the same way God is our Manufacturer and He has given us religion, and therefore a guide of how to spent our lives. We are made above all organisms because our brains not only process information, but also the ability to gain knowledge. Just because we have such a brain we go on in our lives and try to destroy nature. Just another day I was sitting in my geology class and my teacher, in a very light mood, said that an earthquake is nothing more than the relaxation of earth. This made me think of how trivial we are against all the things made by God. We cannot save ourselves from fire, water, earthquakes, volcanic eruption etc, not even from a mosquito with only one leg (I am referring to the death of the infidel Namrood by a one legged mosquito). We are so trivial things and yet so proud of ourselves. We say that stars are not ever existing entities and they are continuously loosing energy. Why don’t we remember that our sun is also a star and is going to burn out someday? Like all things, the solar system will die. We all know these things yet we behave like we own this world. We fight, we gamble, we put our elders into old houses, we lie, we cheat, we back bite, we make fun of others, we bully others, we hurt the people who love us and we do so many things that we can not even list them. We have very little time in our lives which is given to us so that we can please our God by doing good deeds. 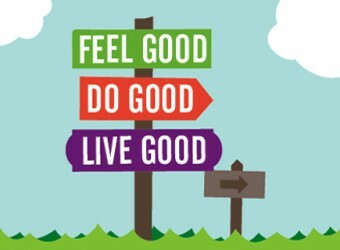 Good deeds not only include praying, but they also include helping others, being honest, following the rules, taking care of old people, taking care of the poor, helping others, etc. We all aim to be a doctor, engineer, environmentalist, lawyer, G.M, to be famous, to have a big car and lots and lots of money, but what we do not aim is to be a better person. When we do our daily routine by keeping it in mind that we want to please God and help His creations, then all the work that we do in our daily routine becomes a prayer. 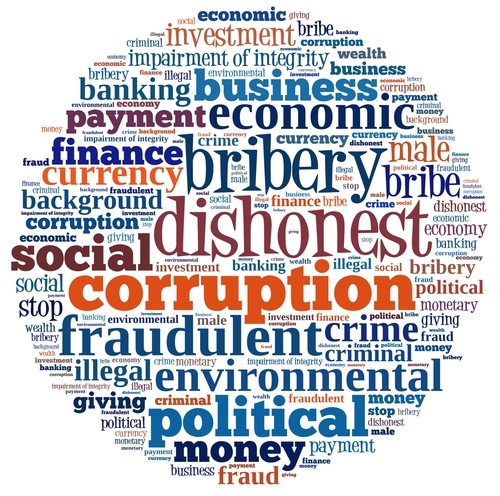 For starters, Corruption is the abuse of entrusted power for private gain. 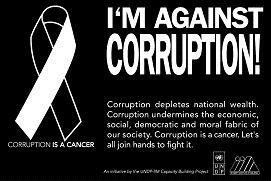 Corruption hinders progress and development of any country. It hinders foreign investments and aids. Corruption is an evil. It hinders success. We observe corruption everyday. We see people lying, cheating, working insincerily, breaking queues, bribing others, etc. So, don’t we witness corruption all the time? Yes, we do. Do you think of these acts as corruption? WelI, I do. These are the seed that grow into the plant of corruption. These are the roots, the basics, and they are not to be accepted. Do you think that we can achieve or rather imitate these values by enforcing laws, strict punishment, and accountability? All of these measures are important and they must be used, but along with measures for behavioral change. 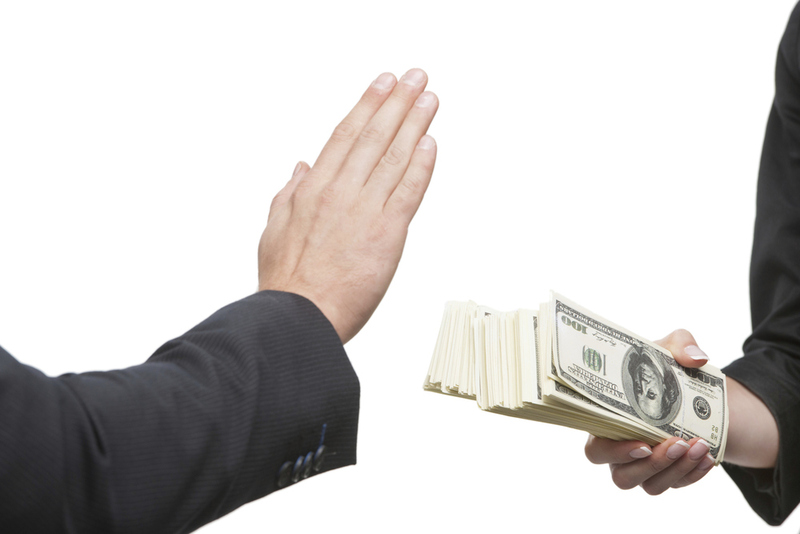 Now-a-days, many countries are working with behavioral change as an anti corruption strategy. 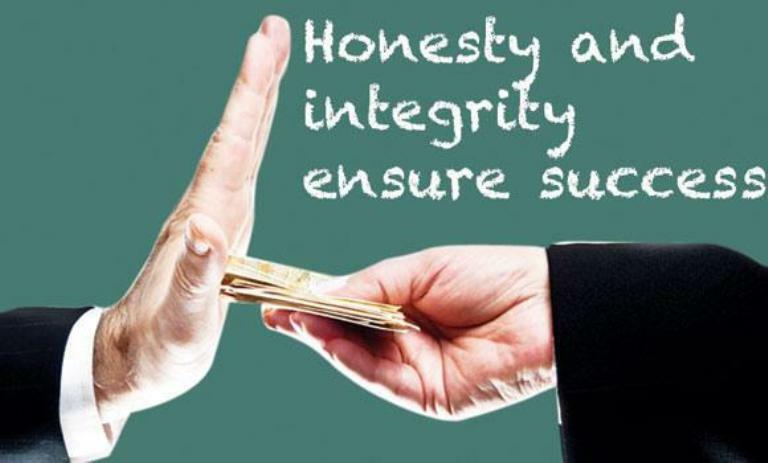 Anti corruption slogan are displayed on bills, in news, bill boards, etc., to make people aware of the evils of corruption. 1. Establishment of no discrimination. There should be no discrimination among rich and poor, black and white, and between people of different religions, races and ethnic background. 2. People must be given there own rights, so that they may be satisfied from there own conditions. Officials that take care of taxes, police department, judges, etc., should be paid more, so they don’t involve themselves into corruption. 3. Children should be brought up in such a manner that when they grow up they not only follow these values,but also respect those who follow them. 4. Religious training and teaching should be given to children, so that they can learn the moral values. 5. For behavioral change, such courses should be designed for the students that explain the evils of corruption to the students. 6. Patriotism should be infused into children. 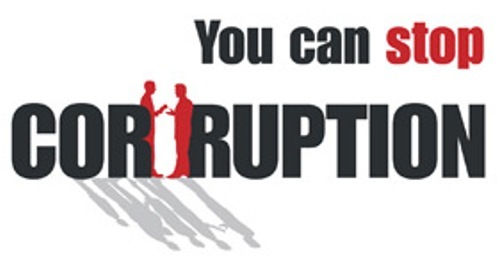 You can save yourself and others from corruption. You, as an individual, have the power to change yourself. as well as others. You are the step takers. So, take a step and get freedom from corruption.